“Just what is it that you want to do?” These are the first words we hear on These Four Walls. It’s not the voice of The Same As Always’ lead singer Dylan Beattie saying these words though but rather a mystery voice of authority who demands an answer. It’s this type of question, with that demanding tone, that haunts your final year of high school. The incessant inquiries about your future are both irritating and anxiety provoking. And yet, it makes you feel lethargic and angsty rather than excited about your future. 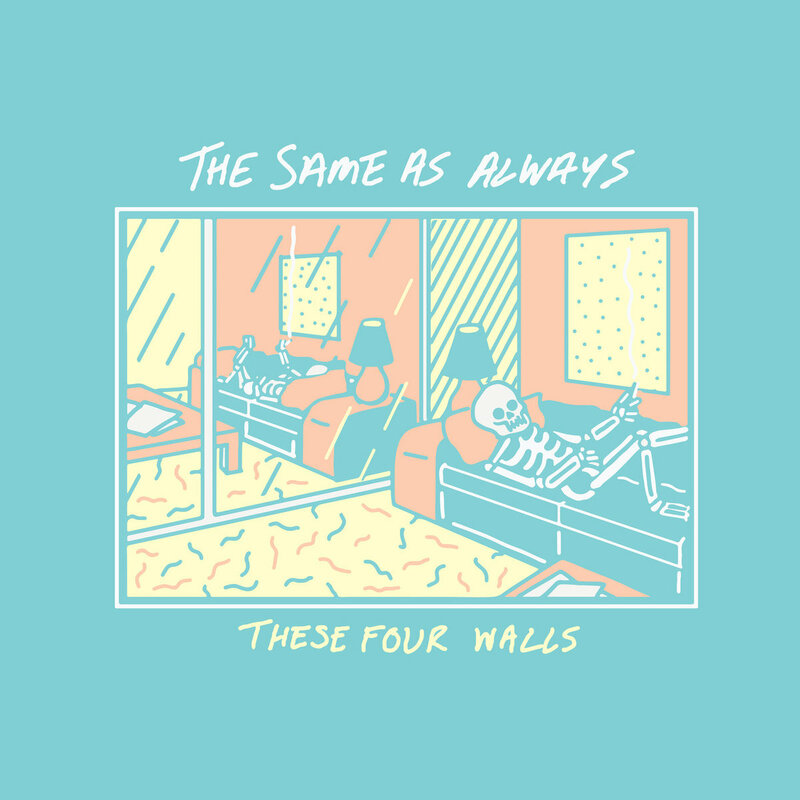 This same youthful angst occupies These Four Walls, the debut EP from the Oshawa trio The Same As Always. It feels like they started their EP with that quote to make you roll your own eyes and feel weary right alongside them. On the opening track, Beattie is annoyed by literally everything including the very concept of time – “Cause I’ve been bored but I’m the only one to blame,” he spits. “Postcard” also riffs of the feeling of restlessness as Beattie, trapped by “these four walls,” wishes for something to catch his attention. By the second track, “I Want This” Beattie continues to feel weighed down, this time by the pesky feelings of love. 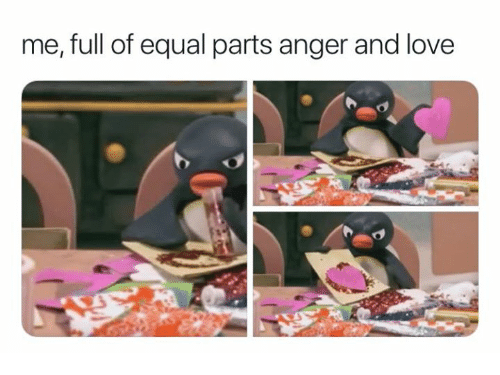 The lack of tenderness in his voice reminds me of this Pingu meme. What embellishes this angst is the fact that The Same As Always make emo music. The EP’s five tracks quickly fly by like a skateboard covered in scuffed up Hurley stickers. Beattie’s voice has a so-cal flavour to it, there’s a lot of furiously played power chords, and the EP even ends with an acoustic track – “High Spirits” – which I love because the acoustic closer of Brand New’s Deja Entendu, “Play Crack the Sky,” is my favourite Brand New song. Despite the band’s restlessness, Beattie, Josh Finlan (bass), and Trevor Johns (drums) make tight emo music that really nails the feeling of being frustrated by everything.